Merl F. Code is an attorney at the law office of Ogletree, Deakins, Nash, Smoak & Stewart, P.C. Mr. Code has been an active board member of over 30 organizations serving the interests of the Upstate, such as The Palmetto Institute, Minority Economic Development Institute, BB&T Bank of South Carolina, Clemson University Advisory Board, and the Greater Greenville YMCA, to name a few. In addition to serving as a board member, Mr. Code has also served as Chairman for several of these organizations, including, but not limited to, the Greenville Chamber of Commerce, Phillis Wheatley Association, University Center of Greenville, and the United Way of Greenville. Mr. Code’s list of successful endeavors includes Owner/CEO of Precision Tool Manufacturing, Owner/Chairman of Code Insurance Associates, and president of Code & Associates Sports Management Agency. 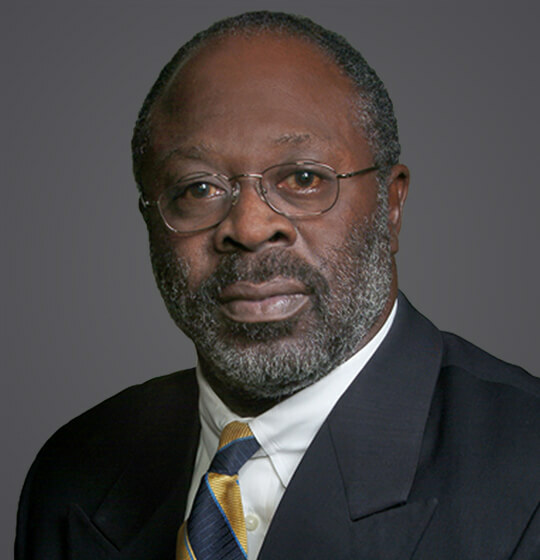 In addition, Mr. Code is the first African American to chair the Greenville County United Way Board of Directors, the first African American to serve as Chairman of the Board of Governors for the University Center of Greenville, the first African American Municipal Court Judge, and the first African American to become Chairman of the Greater Greenville Chamber of Commerce. Mr. Code received the Order of the Palmetto and the Compleat Lawyer Award by the SC Bar Association, and had been inducted into the North Carolina A&T Hall of Fame and the South Carolina Black Hall of Fame. Mr. Code’s law practice concentrates in the areas of positive employee relations and diversity. He has more than 40 years of trial level experience, and has served as a certified Mediator for over 25 years. April 2, 2007 - Ogletree Deakins Publication - "Enhancing Workplace Diversity - Strategies for Success"
June 27, 2018 - Upstate Business Journal - "Merl Code say parents' example spurred his community service work"
In order to view this item, you will need to subscribe to [source].